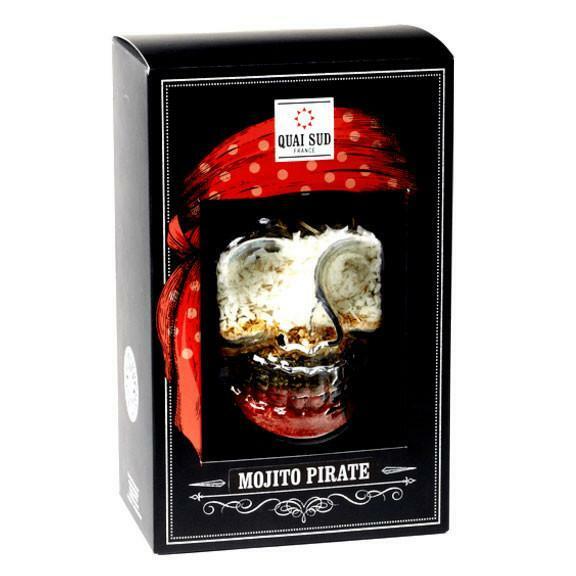 Drink like a pirate with this creepy mojito kit. 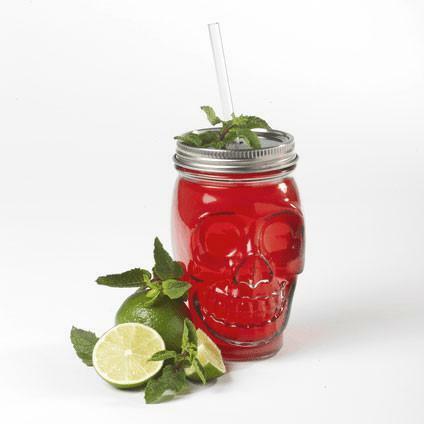 Perfect for Halloween, horror-themed get-togethers, piratical soirees and death metal sing-alongs, as it resembles a human skull. Very simple to make, just pour ingredients a large jug or bowl, add 50cl of rum and leave for 48 hours. Finish off with sparkling water. Will make up to 30 cocktails! Ingredients: cane sugar, lemon peels, coconut, mint leaves 8,6%, lime natural flavour 0.2%, acidifier: citric acid, colouring agent : E129, mint natural flavour 0.02%.